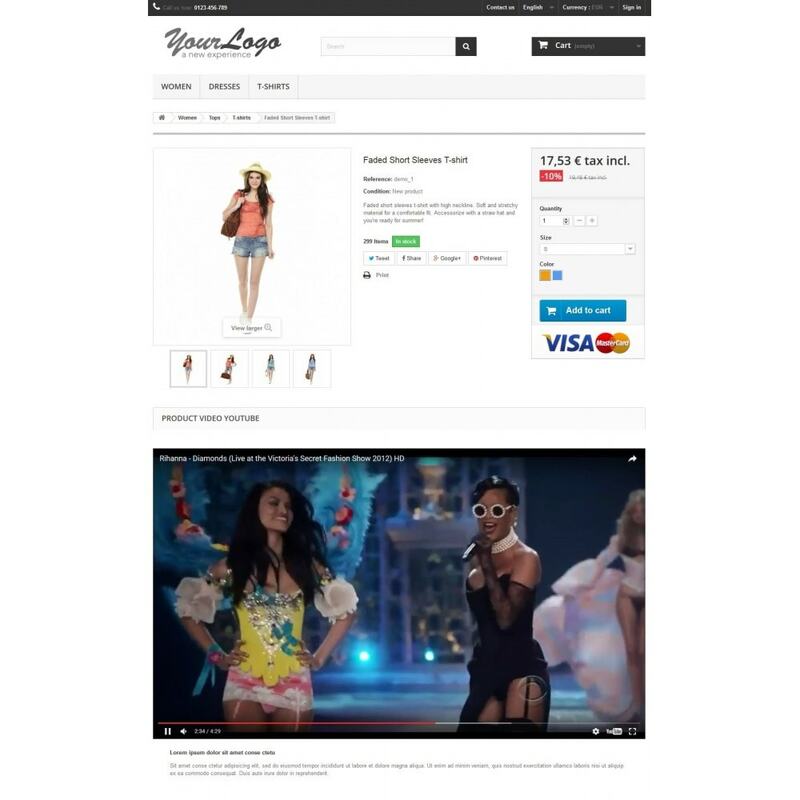 Product Video is a very useful feature to highlight product features allows you to add videos on your product pages. This will help your customer's view your product in action instead of just showcasing various pictures and angles of your products. Now you have the freedom to bring your product to life and show the various means your product can be used. You can add your own title and html content for the video. Easy to use and Intuitive interface. 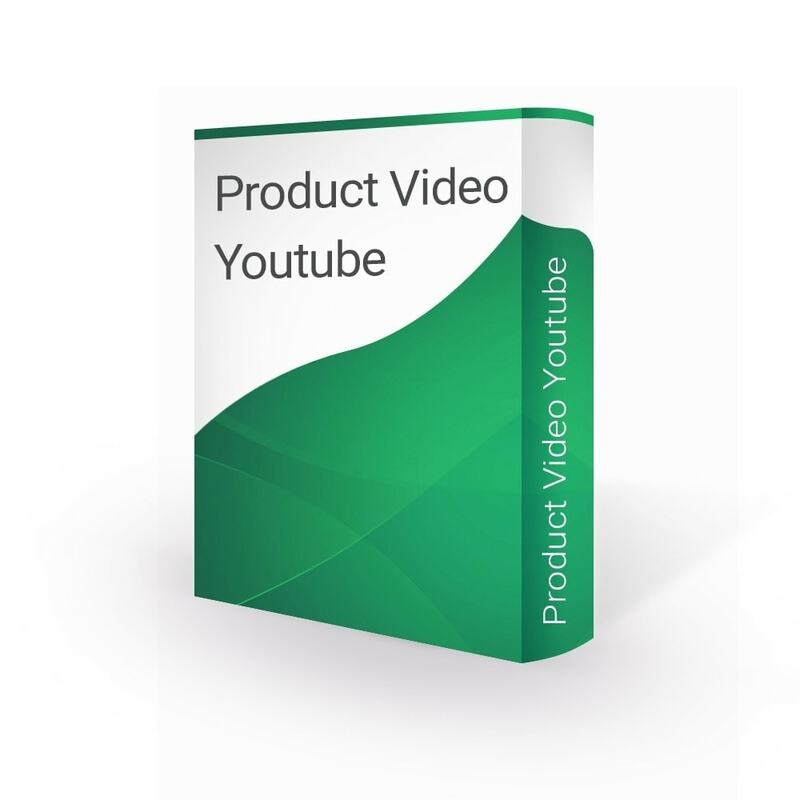 This module easy to put as many YouTube videos to their products as they want. Full control over YouTube video player. Adding as many videos as you want. Specifying sort order of videos. Possibility image cover for video. Bon plan : économisez $60 ! This module will help you to easily add tabs with more helpful and informative product tabs. With this module you can zoom your product page images. An easy-to-use module advance image zooming module to present magnified product images to your customers. 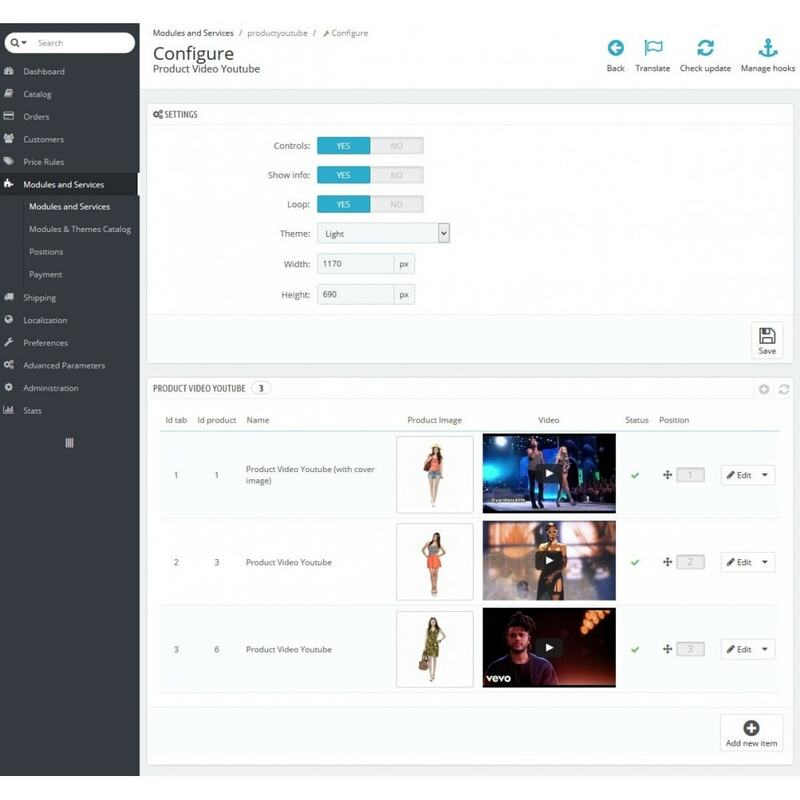 This easy at installation and flexible at configuration module allows you to create attractive Product Video Youtube in a couple of minutes!